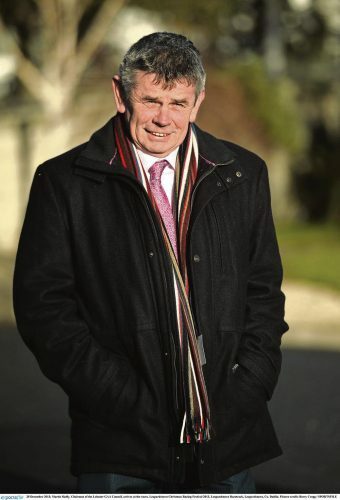 Martin Skelly, who hopes to become the first Longford man elected as GAA President at this weekend’s Congress, is relishing the lessons that his presidential campaign has provided him over the past few months. 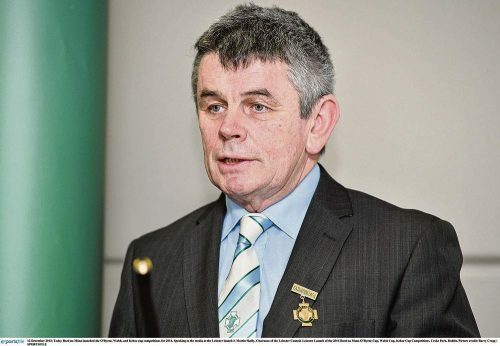 The former Leinster chairman will find out this weekend if his bid to take over from Aogán Ó Fearghail and become the 39th president of the association has been successful, but he is delighted how much he has learnt about the vibrancy of the GAA internationally recently. In the build up to the biggest weekend of his life, he is still out feeding lambs, ‘I still do a bit of work on the farm,’ he says, but doesn’t think the spring and all its distractions can take away from the upcoming Congress. 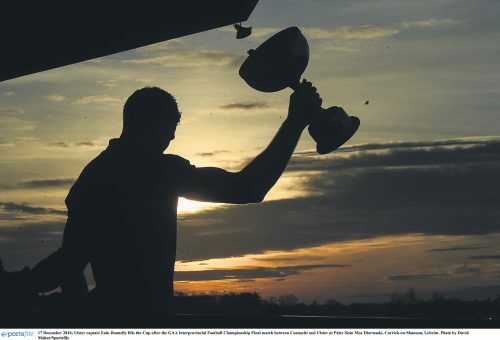 While participation in gaelic games is on the up-and-up overall, there has been much coverage on the plight of the rural clubs who are struggling to survive as they are faced with mass emigration. Skelly, whose home club is Newtowncashel in Longford, also has extensive knowledge of rural clubs, which started at an early age. 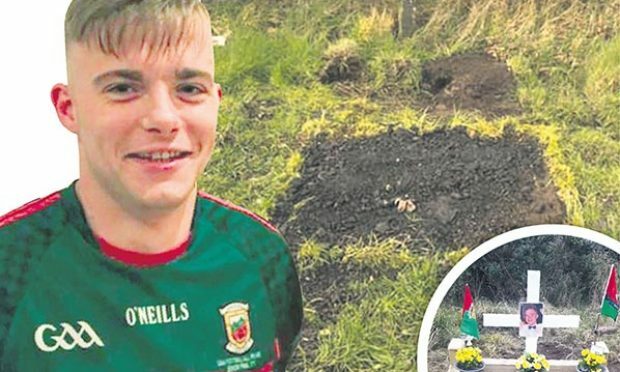 After his mother died when he was just four months old, he was reared in Dublin’s Rathfarnham before moving back home at 15, when his father remarried. “Coming from rural Ireland, I always had a fair idea of the trials and tribulations of rural clubs. And particularly what they are encountering at the moment. “But I also have experience dealing with urban clubs in my time as Leinster chairman, and dealing with counties on the eastern seaboard. There has been a population explosion which crops up different problems. And what can administrators in Croke Park do to support the rural clubs? “There are fewer people putting themselves forward in administer posts. Rural clubs are struggling to field. We have to look at persuading, training and encouraging people to get involved in the volunteer side, the administrator and coaching side of the association. “We have to work hard to ensure our rural clubs are kept alive. One of the suggestions is to amalgamate clubs so they can field, but I would disagree with that in principle. 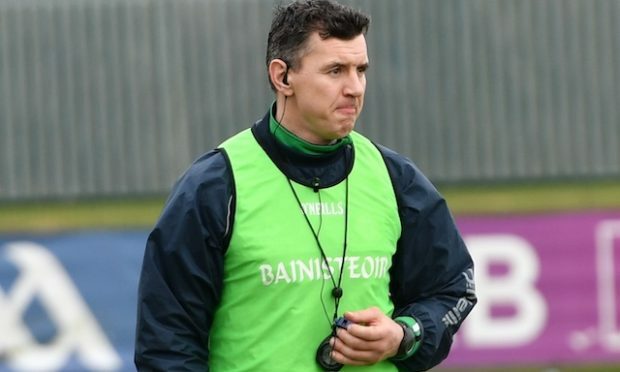 “It is important putting structures in place, even if it means a reduction in playing 13-a-side or 11-a-side then it needs to be looked into which we have seen pay dividends in Longford. Skelly also believes that more must be done from communities as a whole to protect their local area, as well as at government level. “As individuals we must get the attention of our local TDs and county councillors to ensure more people stay in rural areas. “Every time a post office, a church, a shop, a pub, a Garda station are closed it is sucking the life out of rural Ireland. We must visibly support all of these outposts, which are essential for the wellbeing of rural Ireland, while they are there, and protest when it looks like they are in threat. I don’t see why the government should not grant aid to services in rural Ireland to subsidise these places to keep their doors opens. Every time one closes its another crushing blow and it is something we need to be aware of. And it really is in everyone’s interests. Renting an apartment in Dublin could be about €700-€800 more expensive than in Longford, and vital childcare services can cost double. “These are things our county councils should look at it, with planning laws to encourage people back to rural Ireland. Because if something is not done rural Ireland will just become a retirement home. And while all of this is going on, Skelly pledges to make sure that overseas clubs, and support in further developing them, is prioritised. He has experience of this first hand, as his daughter Tara has founded a thriving club in Ausberg, Germany where as chairperson and manager of the men’s team has provided a community hub for emigrants, while attracting people of other races to try out the sport. “The spread of our games overseas has been phenomenal. 90 clubs are in existence in Europe, compared to six in the mid 90s, which gives you some indication of the growth. 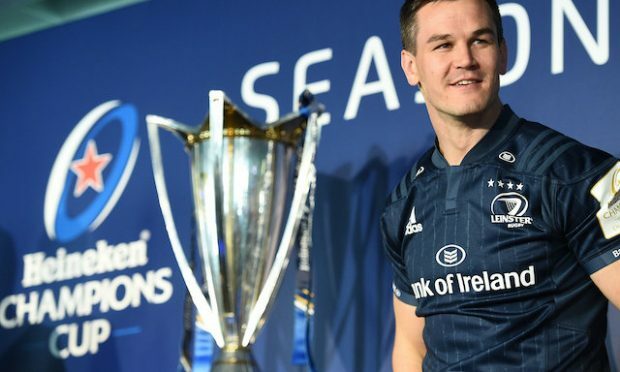 I know firsthand that these clubs, particularly in the US, are building their own clubhouses, the very same as in Ireland home here, so that the second and third generations in their communities have a home to go to. That is so important. “There is huge potential, in the UK in particular, to expand the game. 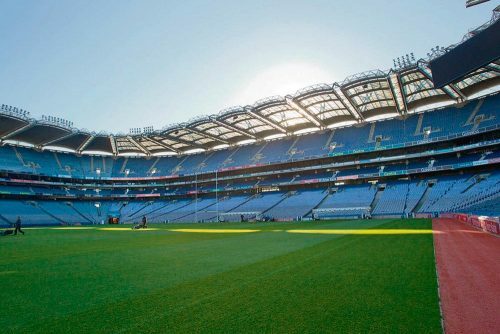 Obviously the new iconic stadium that Ruislip will be, with the new Prunty pitch and stand, and the further development of facilities in London has to be a highlight for everyone involved in the GAA in the UK. “But let’s not stop there. Let this only be the start. There has been great work done over a century. I think we are in a great position to push this forward again. And Skelly is determined that Croke Park should continue to support exiled members. “It is up to us as GAA administrators to help people outside our shores to develop their game, even if it’s an add-on to the services already provided. There is great work being done, but there is the opportunity to step it up another level, and I would see that as a priority for us to help people on the frontline to develop that further. “I’ve met and worked with great people in the UK recently, from Paddy Cowan, to John Lacey (London chairman), Larry O’Leary, Seamus Carr and Mark Gottsche in London. 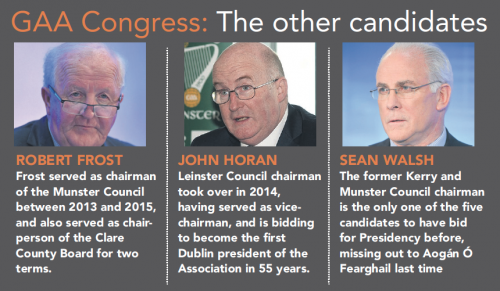 Then Sean Hackett and Brendie Brien at provincial level, and Niall Considine in Scotland, John Gormley in Hertforshire and all the other county chairpersons. “They are wonderful, wonderful people who work on a daily and weekly basis to keep the flag flying. They can be so proud of what they have achieved. “I feel that when Irish people, let them be from Galway, Kerry, Dublin, settle in a community abroad, it becomes their patch and the area they are now loyal to. They will always be loyal to their club and county of birth, but where they go to reside, regardless of where it is in the world, also becomes their territory. And Skelly believes that it is this volunteer ethos that needs to be preserved, over anything, in order to protect the GAA’s longevity. 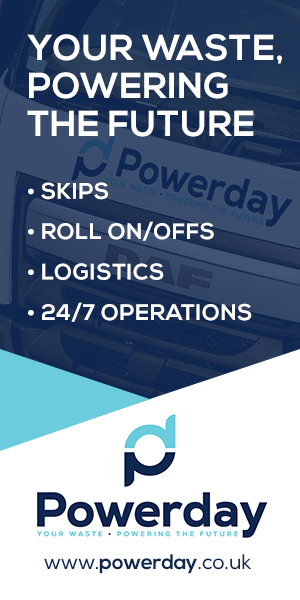 “We have a huge benefit over other organisations as long as we keep that ethos. We don’t have to invest, like other organisations, in major wage structures. Any finance we raise we can put it back into our association. “The heart of the volunteer is what makes the GAA beat. When you ask GAA people to take on a task they do so with pride because by and large they are doing it for their own community. 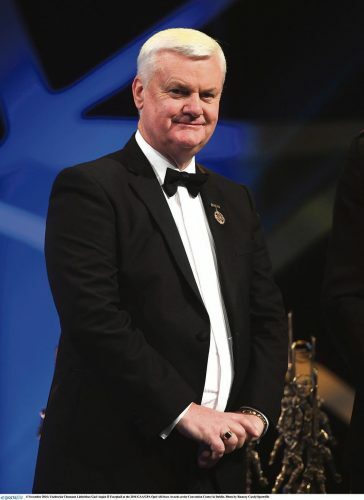 Skelly says that presidency has not always been on his bucket list, but having first taken up an administrative role at the tender age of 16 has built up a wealth of experience during his GAA career. 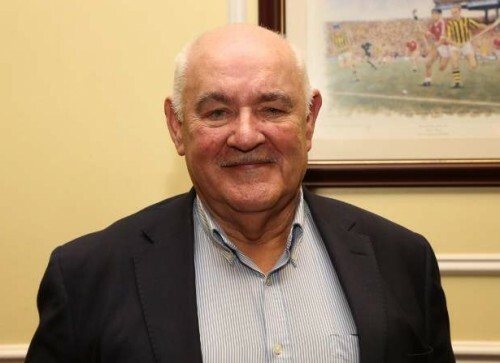 He was effective in that job on the Cashel minor board instantly, ensuring that a mistake not having a team bus take a side to a game never happened again, and that as he moved up the hierarchy this bid for presidency is a natural progression. “As long as I can remember, I had a huge passion for gaelic games. I first became an administrator at 16 years of age, and since then between that and my playing days, one position has followed another.
. “We have come an awful long way over 132 years. The way the association has developed is so wide-ranging. GAA covers so many aspects of life from a cultural point of view, to education and sporting, and today we are a lot more open than we were 25 years ago. We are evolving with the times and the people. “It would be the greatest honour that the GAA could bestow upon me. People have often asked, ‘why a Longford man?’. I would say that in 132 years of the association Longford people have served the association well.